“Home run!” said Alan Stern, principal investigator for New Horizons at the Southwest Research Institute (SwRI) in Boulder, Colorado. “New Horizons is returning amazing results already. 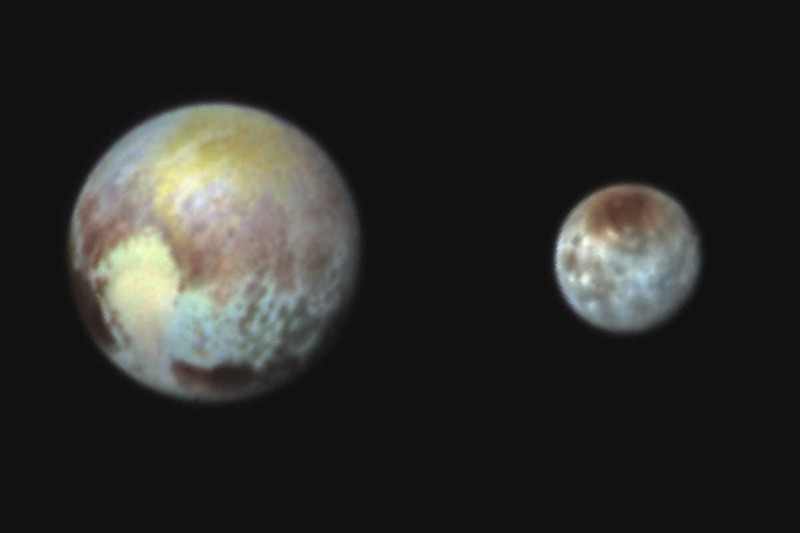 The data look absolutely gorgeous, and Pluto and Charon are just mind blowing. 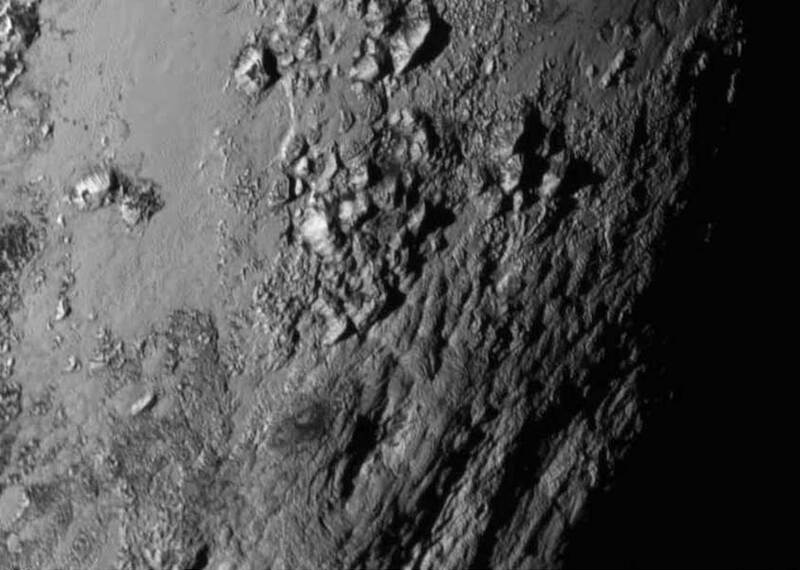 New close-up images of a region near Pluto’s equator below reveal a giant surprise — a range of youthful mountains rising as high as 11,000 feet (3,500 meters) above the surface of the icy body. Icy mountains on Pluto and a new, crisp view of its largest moon, Charon, are among the several discoveries announced Wednesday by NASA's New Horizons team, just one day after the spacecraft’s first ever Pluto flyby. "Pluto New Horizons is a true mission of exploration showing us why basic scientific research is so important," said John Grunsfeld, associate administrator for NASA's Science Mission Directorate in Washington. "The mission has had nine years to build expectations about what we would see during closest approach to Pluto and Charon. Today, we get the first sampling of the scientific treasure collected during those critical moments, and I can tell you it dramatically surpasses those high expectations.""